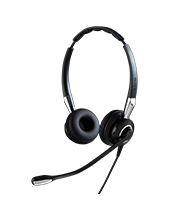 Plantronics H81 TriStar Corded Headset (29408-13) | Plantronics Corded Headset for Office. Choose from 2 sizes of foam ear cushions and 2 sizes of rubber ear cushions. Each style of ear cushion offers a different feel. 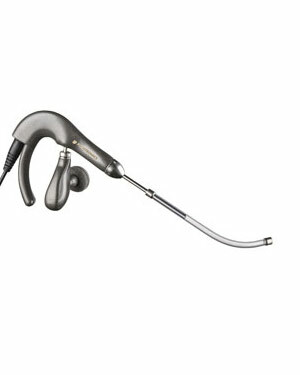 Weighing under one-half ounce, this headset is a pleasure to wear. Quick Disconnect lets you walk away from your phone while wearing your headset, voice tube microphone improves clarity of speech. With four sizes of user selectable earbuds and an adjustable speaker arm, the TriStar headset can be custom fitted to just about anyone. Since the headset speaker sits in your ear, you can hear sounds more clearly, and the speaker naturally blocks out other sounds, allowing you to focus on your call and not your distracting environment. Quick Disconnect feature allows you to walk away from the phone while still wearing your headset. 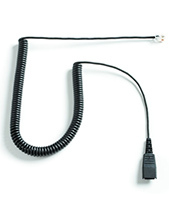 Requires Plantronics amplifier or Plantronics bottom cord when connecting to compatible telephones.